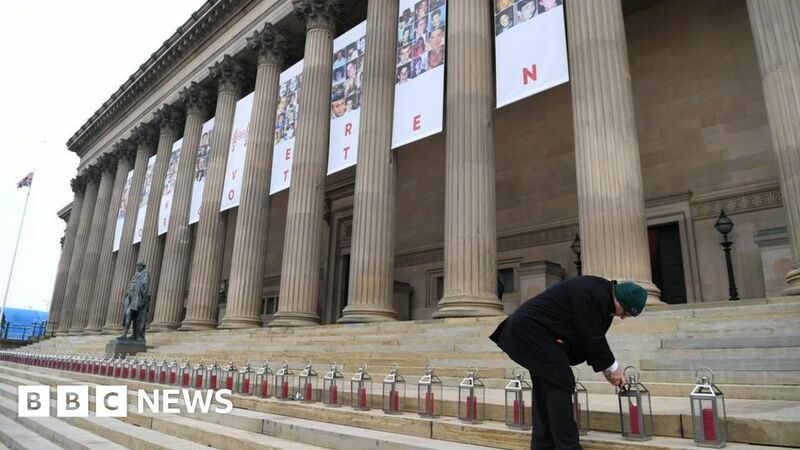 Image copyrightAFP/GettyImage caption Ninety-six lanterns have been arranged on the steps of St George's Hall Liverpool will fall silent for a minute to mark the 30th anniversary of the Hillsborough disaster. A minute's silence will be held across the city at 15:06 - the time the 1989 FA Cup semi-final between Liverpool and Nottingham Forest was stopped. Liverpool's mayor Joe Anderson said the city would "stand together in solidarity" to mark the tragedy which happened on 15 April 1989.